I want to explore what makes someone successful as well as explore their challenges! I want to get in touch with what defines people as an individual! I put a New Zealand number 8 wire mentality to podcasting! Since the late 90s Cliff has helped people live healthier, happier lives and to perform better in his role as a Clinical Nutritionist and in his successful health, fitness and wellness businesses! 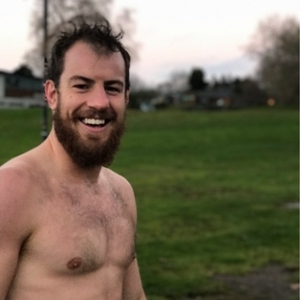 @bigdawk01 on instagram Eddie Dawkins is World and Commenwealth Games Champion and Olympic Silver Medalist in the Men’s Team Sprint, We explore behind the Tatoos/bulk and smile! Regrammed by Tim Ferris 🙀🙀!! When something as simple as sharing some modern day philosophy blows up your Instagram account. At the end of the day they are just followers but hopefully heaps to share the Stag Roar Message! A simple change in mindset can make all the difference to how you see things. A Useful belief will help you find the good in any situation and with high energy you will attract great things! Modern medicine treats ailments and symptoms! It is an indication that your current lifestyle hasn't been optimal. A diagnosis or pre-diagnosis is an opportunity to change the way you live to thrive! Instead of living a life striving for "Success" live a life striving to be fearless in what you do. Do what you want to do without fear of what might go wrong and what people might think! Be Fearless! Digital devices in the bedroom not only create a barrier between you and your loved one but stimulate hormones against sleeping as Simon Sinek says: buy a $6 alarm clock, it'll save your marriage! Giving blood saves lives! It's a simple and easy way to give a random act of kindness which can save someone's life! "Serve those who serve others" to quote Simon Sinek. I interview Liam about his journey through life. He talks about how his passions have lead his life and professions. An awesome interview with a really great man! Where do you place focus? The brain can only focus on a certain number of things at once! It's important to recognise where you are placing this focus and adapt if this is not conducive to your end goals! Winning Before you leave the house 🏡 What is your morning routine? how do you snap out of your monkey 🐒 brain? What is your perfect morning 👌🏻? How do you prime yourself or unwind? Let's get away from that awkward question of "So, what do you do?" and get in touch with the essence of the person you are interacting with! Give an insight into my morning routine and what goes through my head looking out on a new day! As the title suggests, a ramble through what has been an exciting day!